In a recent study 20 patients with panic disorder (12 women and 8 men) were shown images depicting fearful, angry, happy, and neutral expressions of 10 individuals (5 males and 5 females) during functional magnetic resonance imaging. These differences to a lesser extend are also present in healthy subjects. In panic disorder these gender-related activation differences in several neural structures seem to increase compared to healthy subjects. Before, I wrote about gender difference in empathy and other neurobiological subjects. Mark the word difference, not superior or inferior, not better of worse, just different. Reading the book “The New Executive Brain, frontal lobes in a complex world” I came across an interesting chapter about gender differences in cognitive styles and frontal lobes. Men and women differ in decision making strategy. They tested humans with the cognitive bias test for decision making. In this test you’re presented with three geometric forms. One target and two choices. You’re asked after showing the target geometric figure which of the other two you “liked the most”. Women tend to choose more context independent, meaning that they mostly choose the other figures based on stable preferences. They always picked blue or red, square or circle. 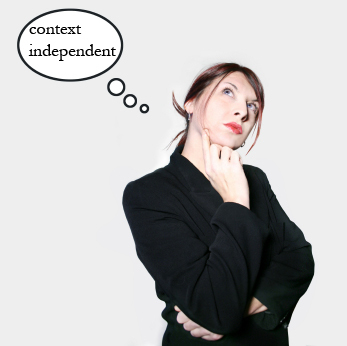 Men choose context dependent, meaning they match their choice to the target. As the targets changed so did their choices. Although their was an overlap between the two curves the difference between gender was robust and significant. The book gave an excellent example. Women tend to always save 5% of their income, for men this is different. If his monthly income is below a certain amount he saves nothing, if it’s the usual he will save about 5%, if the income is higher he will save 10%. The optimal strategy is probably a dynamic balance between both. Novel situations mostly prefer the context dependent strategy, the “default strategy”. Neither strategy is better than the other, a balance depending on the situation is best. It’s probable that the frontal lobes are functionally different between men and women. This post is about the neurobiological gender differences in empathy. 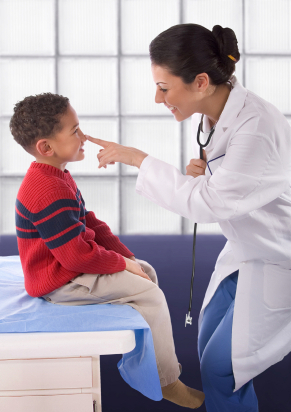 For a description and definition of empathy which isn’t always strait forward please read about it in this previous post: Patient Doctor Relationship Series: Empathy. This post is one of many on the subject. A number of studies suggest that women may be more empathic than man, on average this is obviously true. From experience alone this statement seems reasonable. Nevertheless, some men can be more empathic than women but overall women are more empathic. A number of brain regions have been suggested to be involved in empathy. Two recent studies were published on brain regions and gender differences in empathy. But is this left right brain discussion also involved in gender differences in empathy. Is the right hemisphere more involved in empathy compared to the left hemisphere? Moreover, does this explain that women may be more empathic than man? While some previous studies have suggested a special role for the right hemisphere in empathy, others have not found this asymmetry. Given the fact that many studies have reported gender differences in empathy, it is quite possible that the relative role of the right hemisphere could differ by gender. One study examined individual differences in right hemisphere activation and empathy in a large sample to test for possible gender differences. Besides using empathy scales to score the amount of empathy the researchers also used the Levy Chimeric Face Task to measure right hemisphere activation. This test requires participants to choose the happier of two chimeric faces (faces with one side smiling and the other side showing a neutral expression). Previous studies have demonstrated that right-handed participants (regardless of gender) tend to chose the chimeric face with the smile to their left more often than the chimeric face with the smile to their right. The right hemisphere is more susceptible for faces and emotional expression. This causes a bias in attention to the left side of space. This test measures the involvement of the right hemisphere in emotion. by the empathy scale (MEEQ), suggesting a correlation between right hemisphere activation and empathy in women. Two difficulties arose during this trial. There was also a significant effect on the testing format. Participants tested in the paper and pencil format showed a stronger leftward bias than those completing the task with the faces projected on to a screen. It’s also possible that the empathy scale used or right hemisphere specialization influenced the outcome. Another study looked at brain activation during functional magnetic resonance imaging (fMRI). This was done during fMRI in two separate runs. The data suggest that the mirror neuron system is activated during tasks in both males and females. However, activation was stronger in females in the right inferior frontal cortex. This region is also one of the regions with mirror neurons. Females recruit regions containing mirror neurons to a higher degree than males. Males rely more on the left temporoparietal region. In conclusion females use different strategies for assessing emotions than males. It could be that men more often use the left cognitive hemisphere in empathy and women the more emotional parts such as the mirror neurons in the right hemisphere. Again on average. These are correlation studies not causation studies. What do you think? The egocentric frame is about the body being the reference of the first person experience. Seeing the event from his or her perspective as in normal perception, the field mode. So you’re not looking at your self and seeing your self in a certain situation but your looking from within your self to the outside world. These egocentric representations are modeled with the short term spatial memory located mostly in the precuneus of the brain. These two frames have to integrate the information, the knowledge from the long term memory has to be updated with the egocentric representation that can influence the information present in long term memory. That’s needed to update the body dimensions and motor patterns. If this doesn’t happen the subject is locked to the older representation of the body, this will not be renewed, updated, the subject is locked to the old representation. The parts of the brain involved with the locking process are the medial temporal lobe, connections between hippocampus and amygdala. 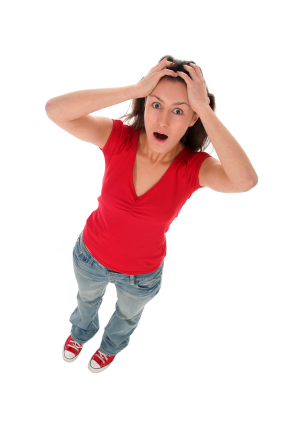 Stress can provoke hippoacampal damage. 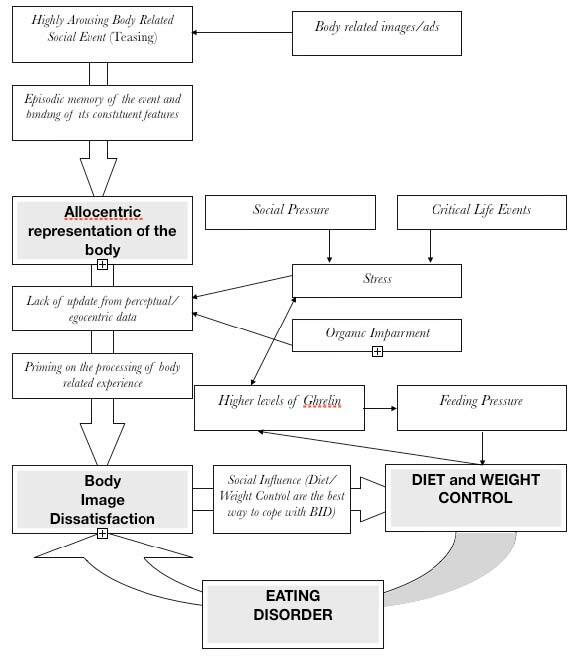 As suggested by some authors stress is often related to the onset of eating disorders and chronic stress is associated with the persistence of eating disorders. Neuroimaging showed some evidence for impairment of medial temporal lobe functioning in eating disorders. Overall eating disorders are influenced by several possible factors as depicted in the graphic below. Nevertheless this theory is an interesting one and to my opinion a very promising one from a scientific point of view, what do you think? During a wedding the oxytocine of those involved in the wedding party rises, the testosterone level of only the groom rises, naughty, naughty. Watch this video and find out why people like to have a wedding. 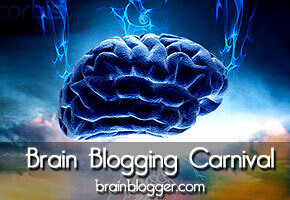 The forty-ninth edition of Brain Blogging is up. In this round, we try to undercover the neuroanatomy of depression, breakdown emotion into a binary process, take a history lesson on learning theories, and discuss other topics. Pawan Sinha details his groundbreaking research into how the brain’s visual system develops. Sinha and his team provide free vision-restoring treatment to children born blind, and then study how their brains learn to interpret visual data. The work offers insights into neuroscience, engineering and even autism. In India many young people are blind. This is a disaster because the brain will not learn to see when older, young age is critical for the brain to be able to see. Impressive lecture about blindness and neuroscience. If the brain is older than 4 to 5 years of age it looses it’s ability to learn to see. A Project Prakash was started to help blind or almost blind children and help if possible. the most fundamental scientific questions about how the brain develops and learns to see. Time management is often necessary to complete tasks in a give period or sequence. 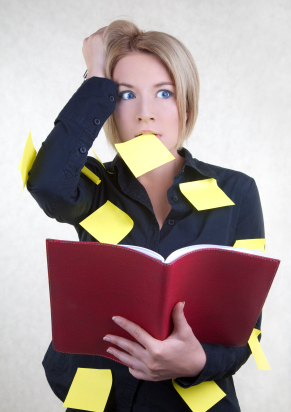 For this you have to weigh the importance of your tasks, which is the most important or urgent. You’ll mostly use some way to organize and remind your tasks (to-do lists), in order to reduce the cognitive load by having to think about your tasks all the time. Another important topic is dividing your time and estimating the time needed to complete tasks. I mostly use “Getting Things Done” or GTD for time management, follow the link for a post on this blog about GTD. Memory obviously plays an important part in time management. You need your prospective memory to remember something later to be done, task to be done in the future at the right time and place. This is were your prospective memory comes in. You need your retrospective memory to remember what you have done and what has to be done next and when. In a recent publication results were published from questionnaires on time management and both types of memory by 425 undergraduates between the age 19-59 years. Those who had better prospective and retrospective memory also were more likely to set goals and priorities and they also preferred an organized approach to projects. They also reported to be more in control of their time compared to those scoring less on both memory scales. Interestingly the use of making to do lists, scheduling activities and avoiding interruptions did not correlate with memory. Thus, it is not clear whether individuals who think they have good memories do so because they use these time management strategies or those with good memories don’t use these time management strategies because they don’t think they need them. Further research needs to investigate the role of time management mechanics on these memory processes. Bad news for those developing software and other things to help with time management. This is not bad news for those who have less information active in memory because those with weaker memory may have less distraction and stress and they may reach goals more efficiently than those who have more information active in their mind, very important to point out that gaming effects on productivity, some think that it helps them but that’s not likely the case. But never forget, these are correlations and correlations are not causations. This kind of research can help to find out who could benefit from time management training. Clearly time management and it’s solutions is not one size fits all. Individual differences are important to be considered in how to use time management, if necessary at all. And which solution does work for this individual. Do you need time management and how do you incorporate it in your work, please let me know in the comments. Meditation is different from rest or sleep. It’s a wakeful hypometabolic state with lowered sympathetic activity as opposed to the fight and flight reactions which requires an active sympathetic system. Parasympathetic activity is increased which is important for relaxation and rest. This increase of parasympathetic state is characterized by reduced heart rate, lower systolic blood pressure, lower oxygen metabolism, and an increase of skin resistance. So it’s not only a rest state but also physiological relaxation related to to stress relief. But what is the effect of meditation on the brain? During meditation not only general relaxation is experienced but also a reduction of mental activity and positive affect. During meditation the reduced mental activity is mediated by increased activation of networks of internalized attention which trigger the activity in regions that mediate positive emotions. Networks related to external attention and irrelevant processes are decreased in activity. The networks activated for internal attention and positive mood are mainly located in the frontal and subcortical brain regions. The positive affect more specifically increases the activity in the left prefrontal and limbic region of the brain. The internal focused attention is thought to originate in an activation of frontal and thalamic region of the brain. There’s also some evidence that experienced meditators show these activations and deactivations in a greater extend compared to novices in the field of meditation. In conclusion, there is converging evidence that fronto-parietal and fronto-limbic brain networks seem to be activated in the attention practices that lead to Meditation, presumably reflecting processes of internalised sustained attention and emotion regulation. One should keep in mind that these findings relate to meditation in general. 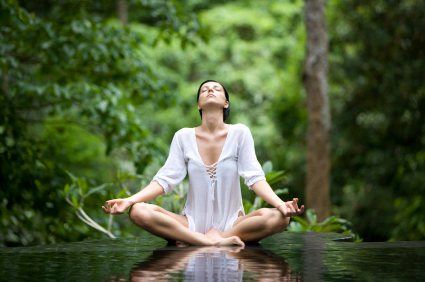 Different kinds of meditations can result in slightly different activation and deactivation patterns. Different brain activation networks can thus be activated by different Meditation traditions. These findings mostly result from comparison of small groups of experienced meditators compared to novices.